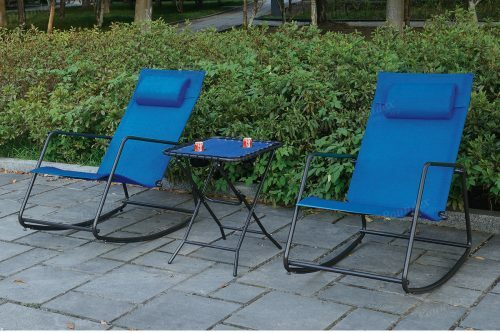 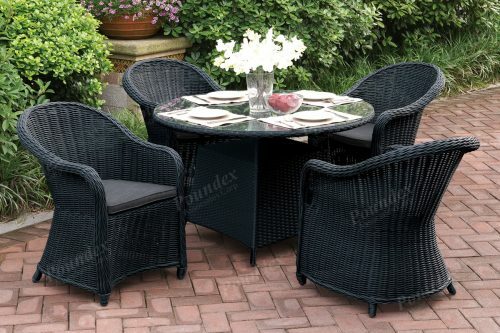 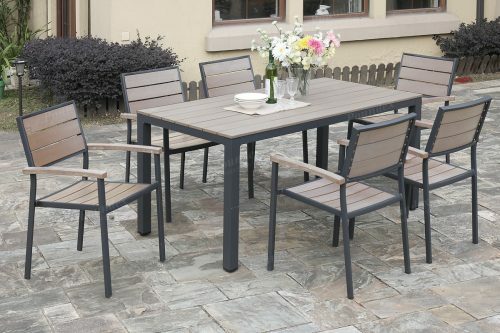 Upgrade your outdoor living space with this patio table set that features unique deep plush seats enveloped in a wicker textured resin wood and aluminum frame. 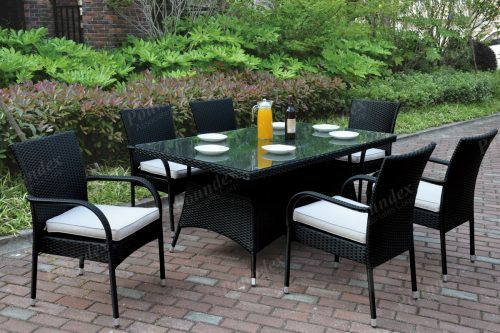 This luxurious set also includes table with a multi-paneled tabletop with black leg supports. 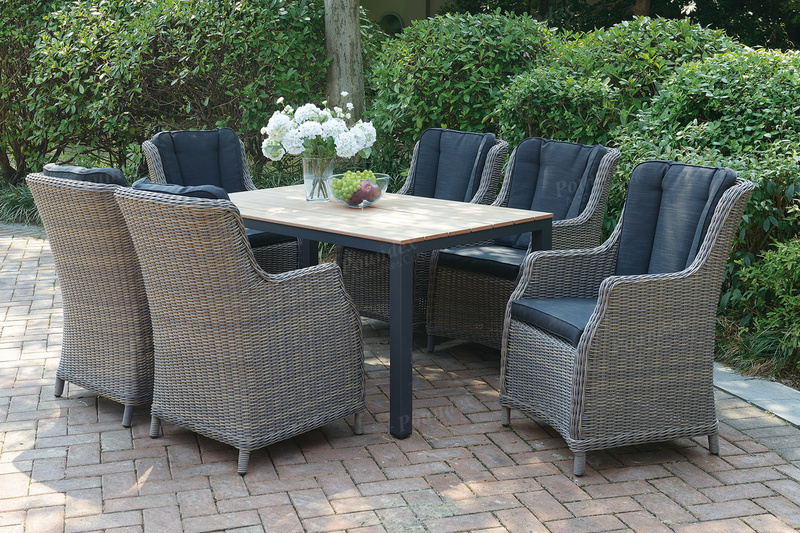 Available sets includes seating and table for four or in a larger version seating six.